E-Dinar is a sustainable next-gen crypto currency that aspires to ensure comfortable living for all and is determined to make the world a greener place to live in. Leading ICO expert Sydney Ifergan has recently joined the advisory board of next-gen cryptocurrency E-Dinar Coin. The latest crypto platform represents a completely decentralized blockchain-based payment system which assures more than hundred transactions in just 5 seconds with its edgy DPOS algorithm. The E-Dinar Coin cryptocurrency is aimed to provide sufficient funds for quality living for everybody. “I am excited to join as a senior advisor in the E-Dinar board. What I especially love about this unique coin is its goal to change the world for better which will ensure adequate funds for comfortable living for everybody”, stated Mr. Ifergan. As per his statements, E-Dinar coin aspires to eliminate monopoly of financial institutions that leads to unequal distribution of wealth in the society. It aims to establish a decentralized ecosystem of resource-based relations that will use cryptocurrency and will be available all across the globe without any boundary or limitation. 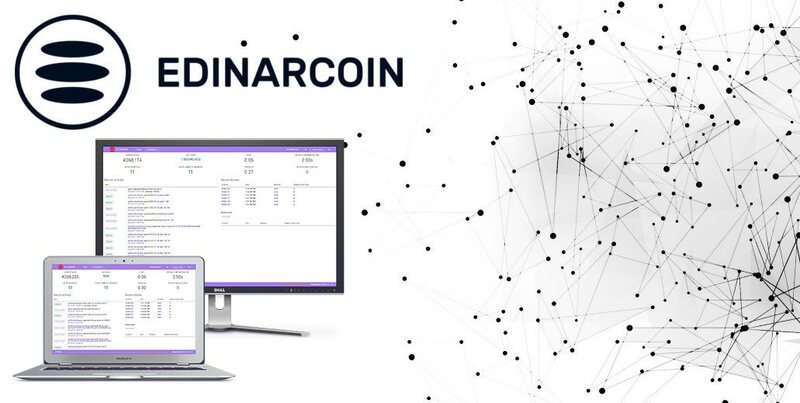 The company has already launched a cryptocurrency constructor that allow people to create their own coins with own blockchain, inside the E-Dinar unit. E-Dinar has further announced to make positive contributions to make the world a greener and sustainable place to live in. The futuristic crypto platform will invest a portion of its income in the development of upcoming urban projects that aim to work for fresh air and clean air in cities. E-Dinar also stands out with its exclusive referral program that is designed especially for the E-Dinar Coin. As part of the program, users will receive a percentage of the revenue of their partners whom they refer to E-Dinar. The referral bonus percentage will range from 2.5% to 25%. To receive 25% referral bonus, a user should have minimum 200 EDC in his account. Speaking further, Mr. Ifergan mentioned about the cutting edge DPOS (Delegated proof of Stake) algorithm of E-Dinar Coin that works as a ledger to keep tab on digital assets. Each update on the ledger will be tested before application to ensure a perfect order. The updates will only be applied after they have received universal consensus regarding application. A user can always check the network condition by monitoring participation level of witnesses. The E-Dinar algorithm is designed specifically to support participation from 99% witnesses. it eventually helps to assure 99% chance of confirmation of the deal after one witness. This principle will enable certification of more than hundred transactions in just 1 to 5 seconds. E-Dinar has also come up with its desktop & mobile wallet for all the leading operating systems including Android, iOS, Windows, Linux and so on. The wallet will enable users to store the coins, receive & send funds, check balance and so on. Besides, the E-Dinar wallet is backed by a bustling community where over 500K users will be able to see new coins within the wallet. E-Dinar Coin has already been listed on the leading crypto exchanges including Coin Market Cap. To know more, please visit https://edinarcoin.com.